Too watery. Better wear a face . shield when rolling a ceiling Splatter is terrible. Drips off brush a lot. I used to paint houses inside and out so I do know good paint from bad. 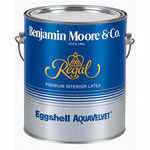 Best paint Lowes carried was Olympic ONE. Don't carry it any longer. I would never use this paint again and wish I had a do-over. 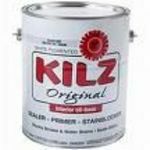 I have had my home painted on numerous occasions by professional painters and never have had the problems with paint I have had with Valspar. If only I would have read the ratings before ! I looked because I was wondering if I was the only unhappy customer... it takes forever to cover.. colors keep bleeding through after three coats and it is on the 3rd day drying. Picked a really dark valspar emulsion. Lady at B and Q said I would need to give it several coats ! ( like 2 I said?... She never replied!) 5 coats later and the wall was done. This paint is not a patch on Dulux, its runny, doesn't spread well, and the Matt dried with a slight sheen which looks awful in direct sunlight. B and Q should pay you to use it!!! 2.5 L of paint to cover a chimney breast of almost the same colour..I followed the manufacturers instructions too! Streaky thin paint (and this was the premium one) 6 coats later and it still hasn't covered..brush and roller marks galore. The colour was no where near the swatch colour either! I will now revert to Dulux orr Crown to cover the absolute mess! Oh and its so thin it bleeds and if you use masking tape when you remove the tape the paint comes off with it! Never again!!Avoid! This stuff is brilliant . Love it :!!!! When we first got our house, we knew it would have to be painted. All the rooms were very unflattering colors, even the basement. I went shopping for paint and seen dozens and honestly I don't know much about paints. This seemed like a very good price for what I've paid in the past. So I got two gallons and used that brand for the basement. Keep in mind, the basement I was painting was yellow and stained. I started painting and it seemed to go on pretty easily and I painted the whole basement. I came back down a few minutes later and noticed immediately I could see the yellow showing through and the stains also. I was extremely tired and aggravated. I decided I wasn't going to waste my time again or my money and returned the other can of paint and purchased something that actually works. 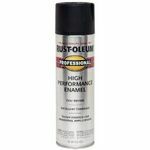 No one should claim its a one coat finish if it's not and it wasn't like I was even painting over a dark room. Never would buy again and I would not recommend. 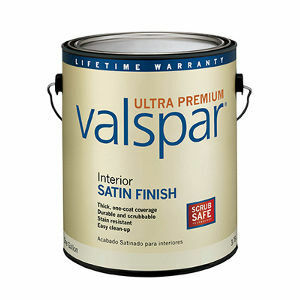 I do not have much nice to say about Valspar brand of paint. I wanted to change the color of my spare bedroom so I went to an ACE Hardware to search for paint. I found a really pretty pale shade of green that I decided on and it happened to be Valspar brand. I was painting over a very pale tan color. I know how to paint a wall, but if you would have seen how horrible the first coat looked you would have thought I did it with my eyes closed and drunk. It was extremely streaky and uneven. I then went over it with the second coat and then tan from before was finally completely covered but the paint just still looked streaky. FINALLY, I went over it with the third coat and got it looking pretty good. I used the whole gallon in a very small room. Another problem with this paint and that is the scuffing that occurs. If you barely bump the wall with something, it leaves a mark! For example if you bump it with a shoe, there will be a scuff-mark. I definitely would not want this in a child's room because the walls would be a mess. Oh, and this paint is EXPENSIVE. Coverage It took THREE coats to finally cover the walls. Dark Red Required Six Coats!! I found a really great, deep full shade of red from Valspar that I thought would be a great shade for my bedroom. The room itself after doing the math online pretty much realized I should only need a gallon to get the job done with two full coats. 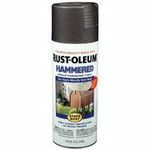 Imagine my total shock when I needed three full gallons and six coats on the walls. 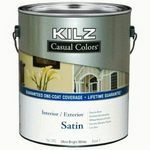 I find it extremely disappointing to need six coats of a paint that claimed to be a "paint and primer in one." After the first coat, my very deep red was a patchy uneven pink. Sadly I knew that this wasn't going to be the stand two coats I was really hoping for. After the second coat it was still just as patchy, only now more of a medium, slightly darker pink. Ugh. Four coats in and it still wasn't the good, solid, dark shade that I had picked out. It was very, very frustrating. By the time I got to gallon number three and coat number six, I was simply exhausted by the entire experience. I can only hope this isn't the case with all of their colors.